Greetings all. Apologies for the lack of activity on the blog, we’ve been all over the place recently and have kinda left the blog in a state of…abandonment. Sorry for that. Let me fill you in on a few things. 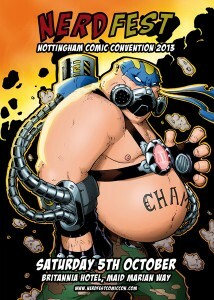 We organised the very first comic convention in Nottingham in October that I’m sure you’re aware of and it was a HUGE success. We had a load of fun, with 70 exhibitors, guest artists, live music, the 501st UK Garrison, Hellfire Harlots Roller derby team, plus a whole lot of fun. It was an awesome day and we’ve already started to look at next year’s event so keep ’em peeled for that! 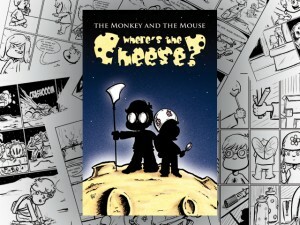 In August we ran a kickstarter campaign (a crowd funding campaign where we have people pledging money in return for “rewards” such as books/mugs/tshirts etc) to get my first comic book, The Monkey and the Mouse: Where’s the Cheese? printed. It was a huge success and you can get your copy of the book here! I’m currently working on a new webcomic (along side my ongoing The Monkey and the Mouse comic strip) called Elementary? It’s a 20 page comic that I’ll upload to this very site, probably in January time. I’ll post 3 pages a week – Monday/Wednesday/Friday. So that should be fun. I’m also in the early stages of writing the new TMTM comic book which will probably be about 100-120 pages. I’m currently sorting out the scene breakdowns and hope to have my first draft of the script done by the end of January. 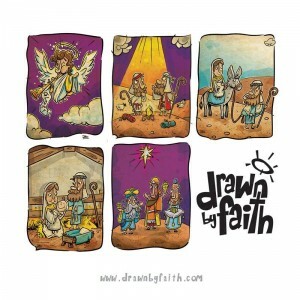 In terms of Christmas related goodies this year, we’re honoured to stock the very AWESOME Drawn By Faith Christmas cards, illustrated by the very talented Drew Pocza. Piddley Pix is the ONLY stockist in the UK of these cards and are available in packs of 5 and individually, so grabs yours while you still can. Piddley Pix will be represented at this year’s Thought Bubble Comic Con in Leeds on November 23rd – 24th with some truly awesome artwork, prints, METAL PRINTS, books, cards and a whole lot more, so if you’re in Leeds come and say hi and pick up a gift or 2 for Christmas.